Learn how to create new vaults to organize your information and give other people access to items they need. You can use vaults to organize your items and share with others. Sign in to your account on 1Password.com to get started. 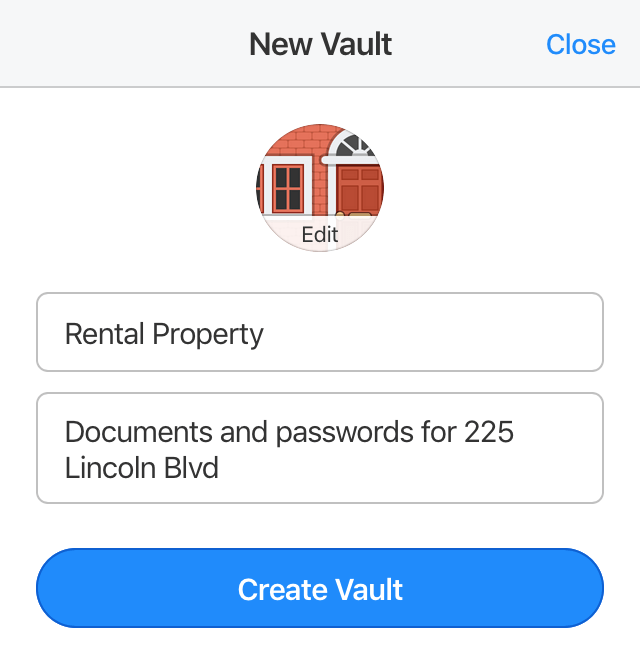 To create a vault, click New Vault on your Home page and give your vault a name. You can also give a description and an icon. When you’re done, click Create Vault. Your new vault will appear on all your devices. Before you can share with anyone, you’ll need to invite people. Then you can choose vaults you’ve created to share with them. 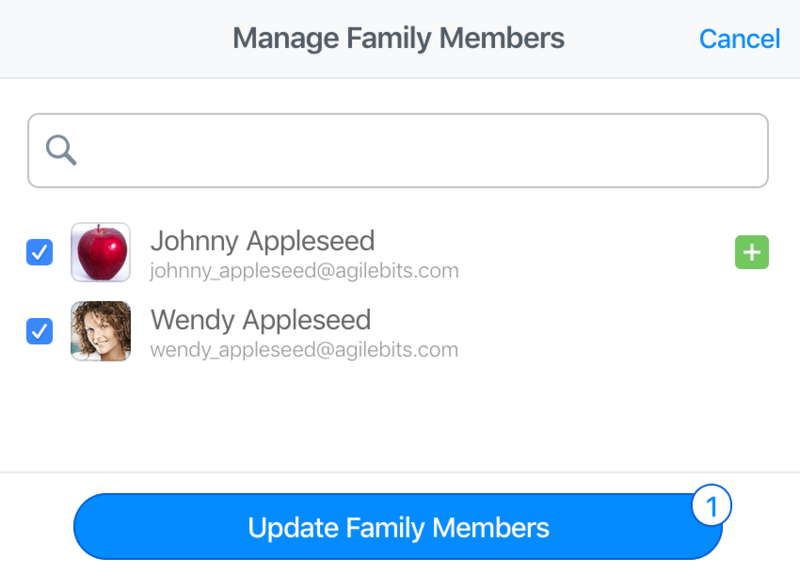 Select or deselect the people you want to share the vault with, then click Update Family Members. Now everyone you’ve shared the vault with can view and edit items in it. Everyone with access to a vault can view, print, and copy the items in it. When you first share a vault with someone, they can also create, edit, and delete the items in it. If you allow someone to manage a vault, they can change the vault’s name and description, or delete the vault. To change someone’s access to a vault, click to the right of their name. To permanently remove a vault and all its items from your account and your devices, click More Actions > Delete Vault. 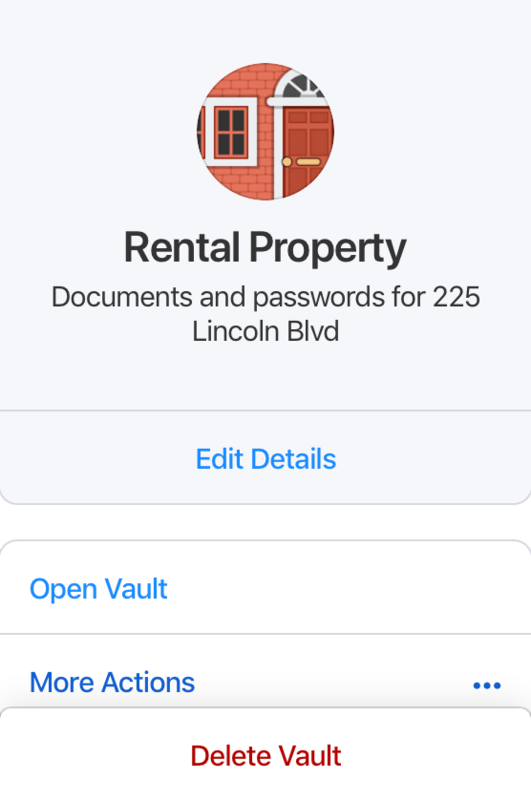 When you delete a shared vault, it will also be removed from the devices of everyone you were sharing it with. 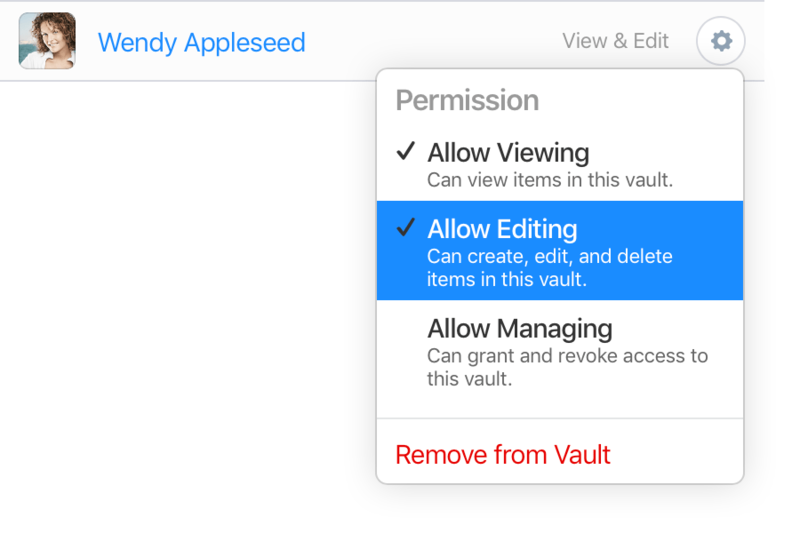 The built-in Personal vault can’t be renamed or deleted.